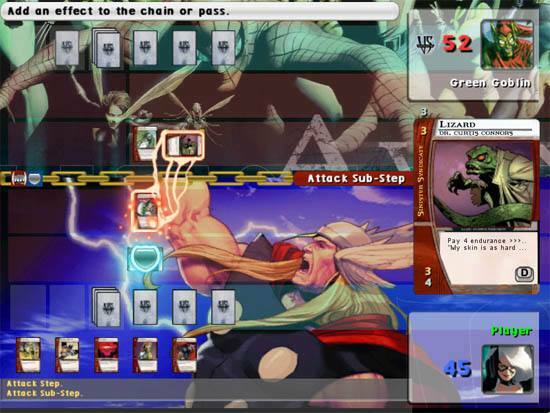 Based on the popular 'VS System' and reminiscent of the previously released Yu-Gi-Oh trading card game, the Marvel Trading Card game uses characters from the highly popular Marvel comic universe to include greats such as Spider-Man, the Hulk and the Avengers. 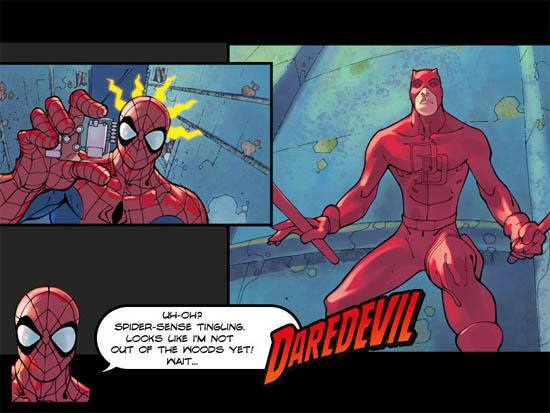 It should also be noted that the game contains all the notorious villains from this amazing Comic universe. In the Marvel Trading Card Game for DS, players basically build their deck from a selection of character cards, equipment cards, location cards and plot twists. During play, cards are chosen as resources that can be used either right away or laid face down for later use. Based on how many resource cards are in play, character cards are recruited, provided that the recruitment costs are met. Characters that are in play can be used to attack opposing characters with the effectiveness of those attacks determined by their ratings. 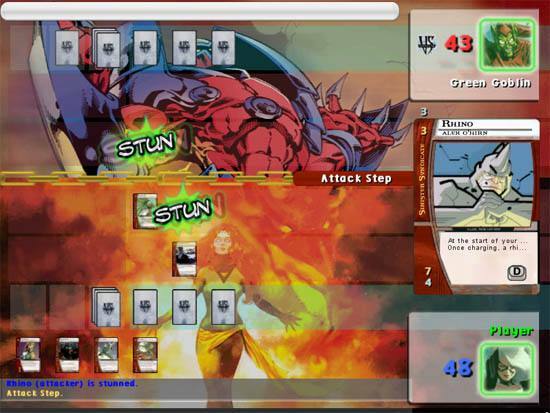 During play, plot twists and location cards can be used to help turn the tide of battle with new cards entering the players’ hands each round. Needless to say, you probably need to familiar with the VS system as the game is quite complex, even for experienced gamers. For those well versed in the Marvel Trading Card game, there are still obstacles to be met. While there is an option to customize your deck in between matches, the opportunity to purchase booster packs come so infrequently that in the early parts of the game, you’re stuck with the deck you start with, whereas the AI is able to change up decks to suit the current plot point. Booster packs are purchased with points obtained through completing missions, or completing puzzles, however the available puzzles are tied to the current chapter. You can replay the same puzzles over and over to gain more points and subsequently buy more booster packs, however you shouldn’t have to grind puzzles just to put together a competitive deck. As you progress through the game, the makeup of your deck can be better suited to match your opponent, however even with these tweaks, more often than not, it seems that the AI can recruit characters far more quickly than you can, which puts you in a hole right out of the gate. Needless to say, quite a difficult game to master for those non card playing gamers but if kids can do it, I'm sure more mature gamers will be able to master it. Graphically for a game that really does have much graphics, it's quite detailed, especially the artwork of the characters. The music and sound effects are enough to help get you lost in the title, although seeing Marvel characters on any console is always good to see. In conclusion, the Marvel Trading Card Game is recommend to those lovers of the VS system or for those that enjoyed the Yu-Gi-Oh game. Definitely more complex than a lot of the games on the market at the moment. The multiplayer aspect is also entertaining and would make for great schoolyard combat!